I wanted these spoons to be symmetrical when they were held together as to when they are each held face on. To accomplish this I traced the two blanks on their side while held together. This allows me to draw a template on half the page. The side profile is half of the front profile. You'll see what I am talking about in the pics below. I copied the template twice and glued them to the blanks with spray adhesive. The blanks are 6/4 hardwood maple & walnut roughly 12" x 6". Cut them out on the bandsaw. Hot glue the blanks back together so you can cut the side profile. 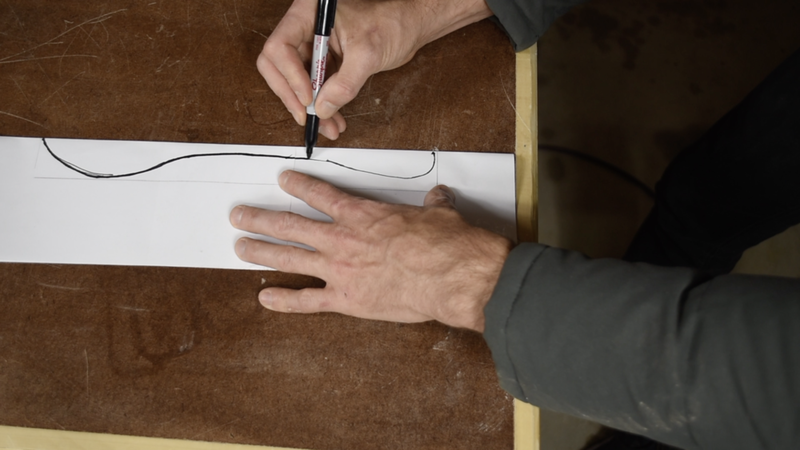 Draw out the shape of the spoon bowl and start carving. I first defined the edge with a 3/4 straight gouge. I used a chisel to remove a lot of material fast. I went back to the 3/4" gouge to shape out the bowl. I used a bent spoon gouge as well. The one I used was too small for this project, but it worked okay. I did the bulk of the shaping of the outside of the spoon bowl on my belt sander using 80 grit paper. I shaped the handle with a saw rasp. I made a scraper out of a razor blade to clean the inside of the spoon. Just sand down one side into a curve that fits the spoon, and then give it a bevel. 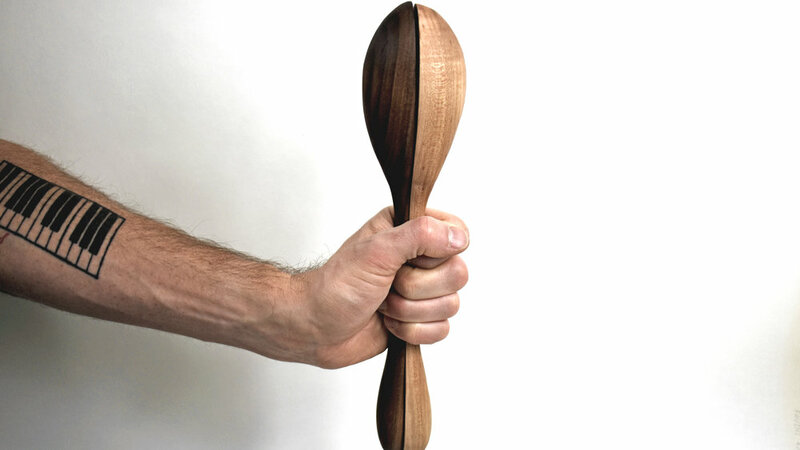 This spoon is deep, and the scraper made smoothing out the inside much easier. 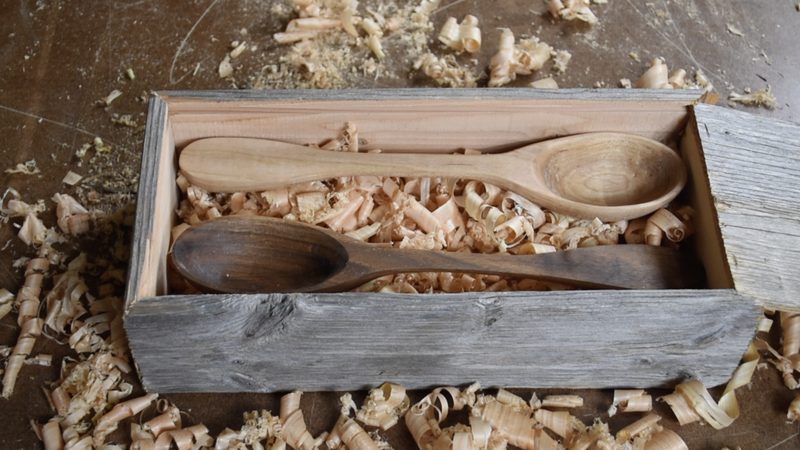 The second spoon I made was using hard maple, and it didn't work as well. Be prepared to sand for days! Well, not literally, but its a lot of sanding. 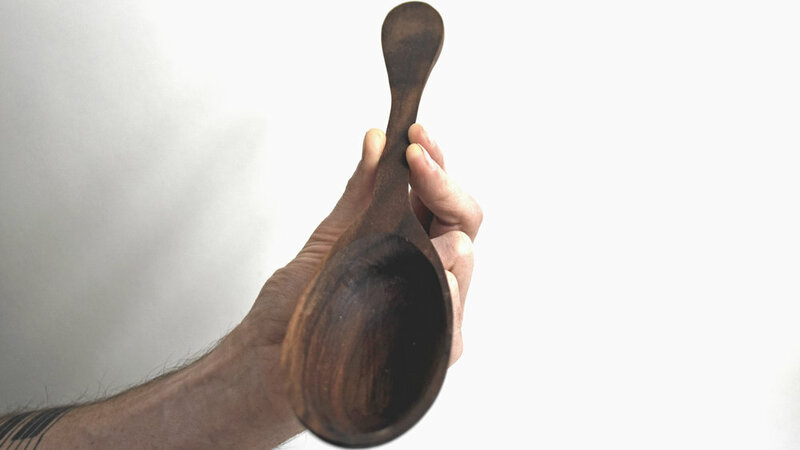 I finished my spoons by soaking them in mineral oil overnight. Magic a second spoon out of thin air... or just build it at the same time, but not film it to prevent redundency. I made a gift box from some reclaimed wood and filled it with shavings from my Stanley #5.